In this guide I want to introduce the basic concepts of building a WordPress child theme and why it’s such a good idea. 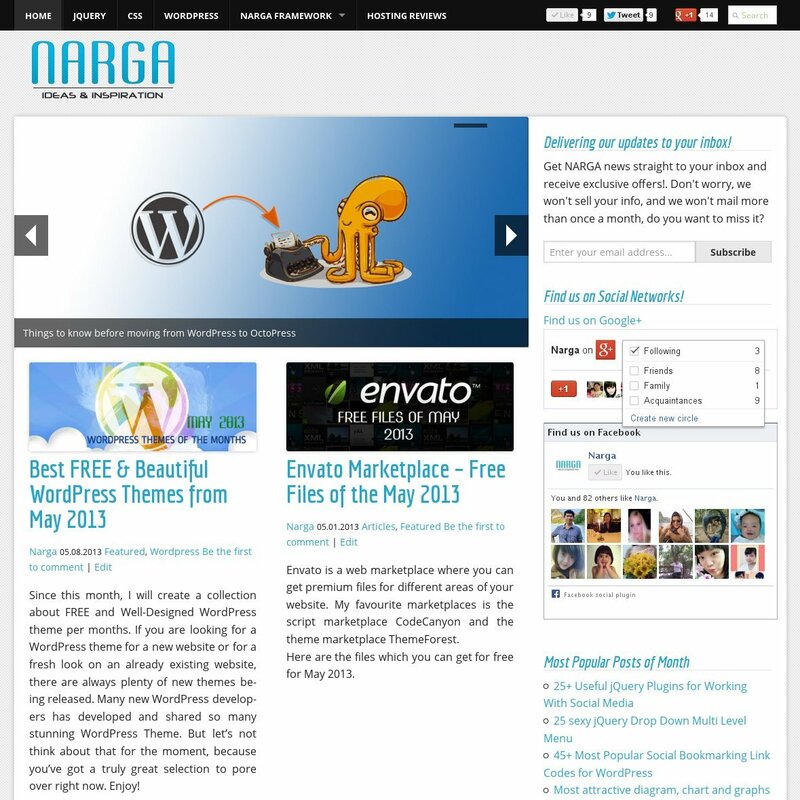 Here’s a brief look at this website, the child theme I’ve crafted based on NARGA Framework. You’ll need some very basic HTML and CSS knowledge, but the good news is that for a basic child theme, you don’t need to know any PHP! As you see above, style.css is required. It provides the information header by which WordPress recognizes the child theme, and it replaces the style.css of the parent. Note that a child theme’s style sheet replaces the style sheet of the parent completely. So, we’ll need to use original/parent CSS to make it look less wrong. by going to import the styles from the Parent Theme like the . @import url("..."); that you see above. What’s the difference? I’ve changed background of body and content section. Do you see !important? This is necessary if you have cascading styles from a parent theme which are overriding your own custom rules. But not all of your CSS property need !important, you can define normal CSS property of Child theme if it’s not defined in parent style.css. Unlike style.css, the functions.php of a child theme does not override its counterpart from the parent. Instead, it is loaded in addition to the parent’s functions.php. This means you don’t need to copy over any of the PHP code to still have it active in your new theme. To make your own functions or just change the default function, you need some basic PHP programing. A child theme can override any parental template by simply using a file with the same name. To add a template that is not offered by the parent theme (e.g., a template for a sitemap page, or for single-column pages, that will be available to select in the Page Edit screen). To add a more specific template than what the parent uses (e.g., a tag.php template to use for tag archives instead of the generic archive.php of the parent). To replace a template of the parent (e.g., make your own home.php to override the parent’s home.php). The theme frameworks built on top of WordPress can help one develop a stable, good quality theme in quick time and will also let the uniqueness of your site remain intact. Creating a child theme is incredibly simple when compared to designing and coding a theme from scratch. I hope the very basic process of building WordPress child themes is clearer for you after reading this article. But it gives you the information you need to start designing your own themes. Start with basic re-styling to get your feet wet, and then start exploring the things you can do with PHP in your functions.php file. Also if you’ve built any great child themes in the past we would love to check them out. Let us know your thoughts and suggestions in the post comments area. Looking for retro fonts, I stumbled onto your article on child themes which is my main concern. I made a child theme, I just copied the original, changed the heading (per WordPress), and deleted the contents of my functions.php. It is working great on my Xampp localhost, but will I have any problems with it when I go live ? P.S. – Awesome site, I have book marked it! I agree, child themes are the best way to go. The learning curve might be a bit steeper than with a standard theme, but it’s well worth it. 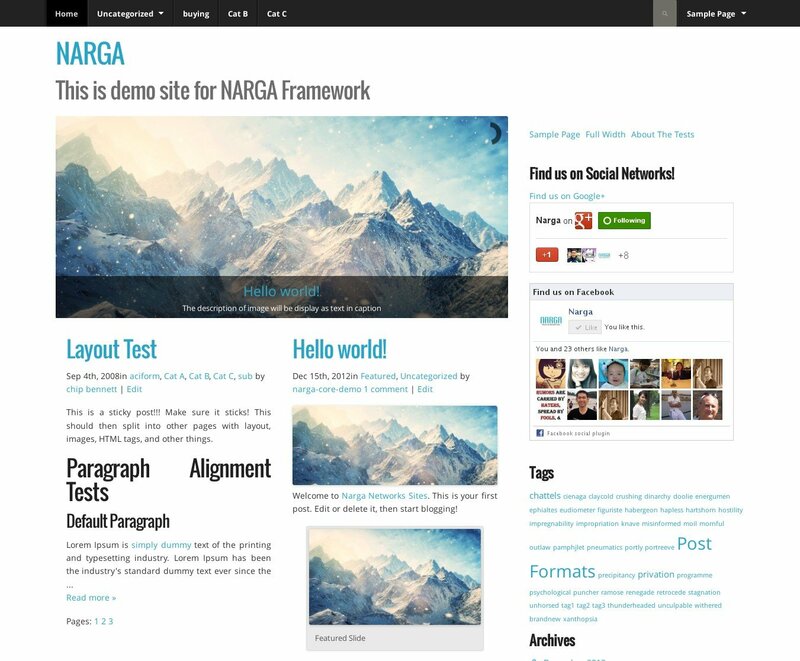 i just recently discovered your site and the NARGA Framework. I primarily use (and recommend) the Genesis/StudioPress framework, but, I look forward to learning more about NARGA. I am always looking for good themes to add to our WordPress repertoire. It’s Good Article for guide in creating wordpress childe theme, I’m looking for good themes for my site and solution to improvement theme with myself. Thanks for sharing your information.